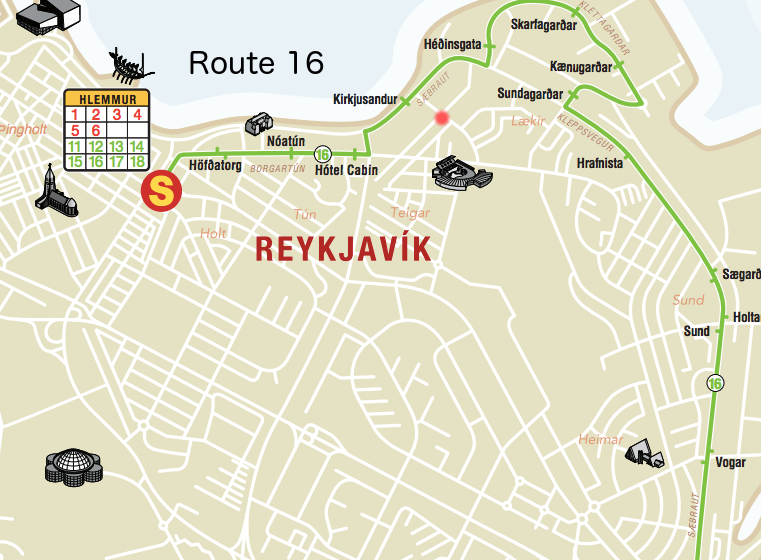 The family-owned Lækur hostel and guesthouse is located 2km away from the city centre at address Laugarnesvegur 74a. The location has a nice neighbourhood and friendly feel yet it is very central. Only a few steps away from Laugardalur, the green river valley of the city. 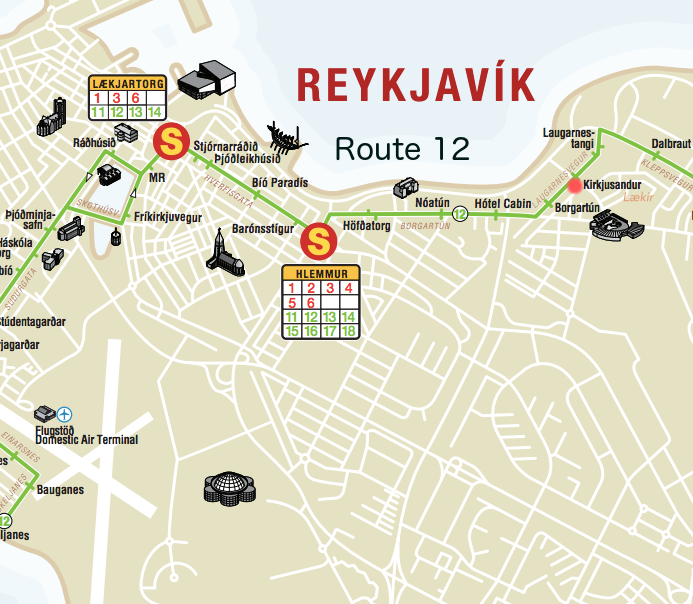 15-20 minutes walk to the sparkling Reykjavík night-life in the old downtown. Walking alongside the ocean is a beautiful route overlooking the mountains and northern lights if you are lucky! 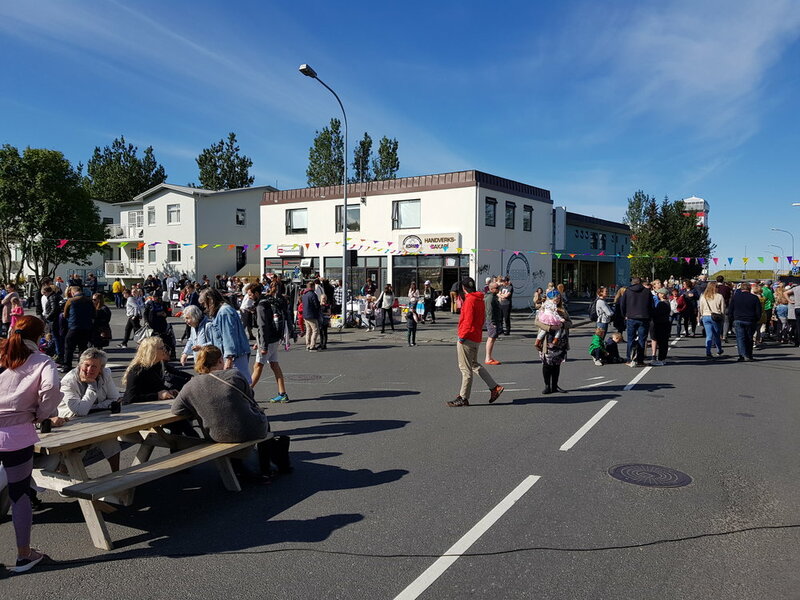 3 minutes walk to the biggest and most popular Icelandic public swimming pool. It is an integral part of the local culture - a must visit! Commuting bike rental is around the corner by the swimming pool. You can also rent from us road bikes and mountain bikes if you join us on a guided trip - see further in below section. You can book a flybus here that stops right outside our doorstep. We are located just over 2 kilometers from the old city centre. 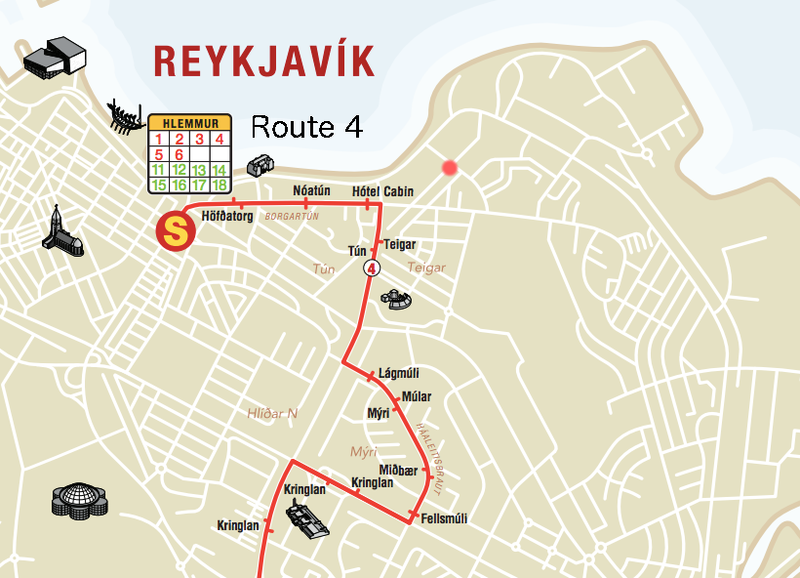 Its an easy walk along the coast or via the street Borgartún. 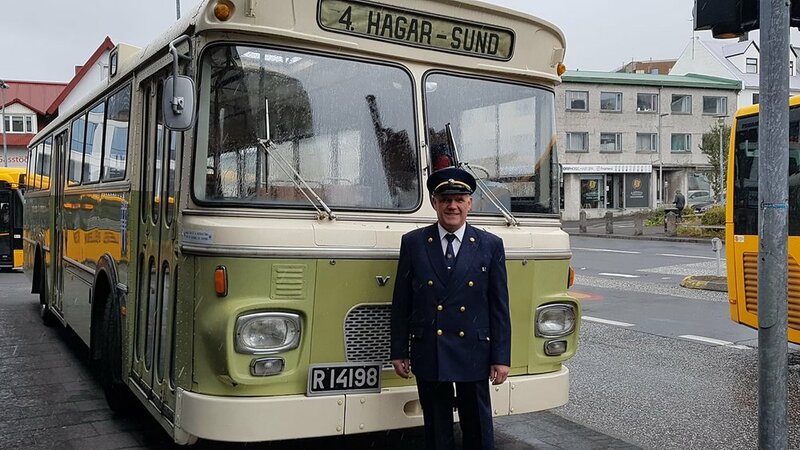 Our address is Laugarnesvegur 74a, 105 Reykjavík. Bus route 12 runs frequently just outside us and goes downtown - see further details on www.bus.is. Other routes that go close to us are routes 14, 16 and 4. To pay for the bus ride you can do it with the www.bus.is app or have the exact coins with you or buy a pre-paid ticket in the convenience store on next corner from us. Please click on the below route maps to see the routes. The red dot shows our location on the maps. 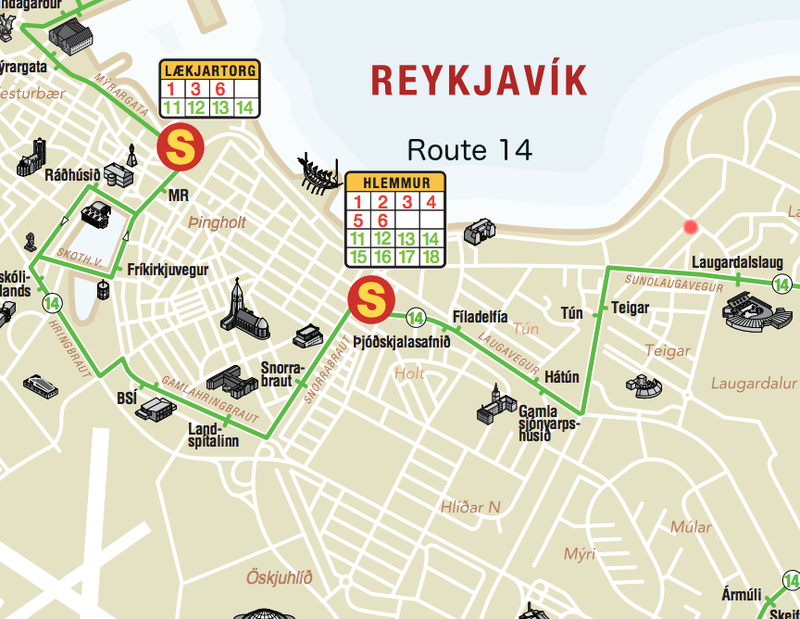 On www.bus.is you can also see a live map with location of each bus as well as detailed timetables. The boxes with numbers on the route maps show what other routes you can connect to at that stop. Below is our full map of the city which shows all the key locations and services of interest. We have a large version of it in our hostel entrance hall.